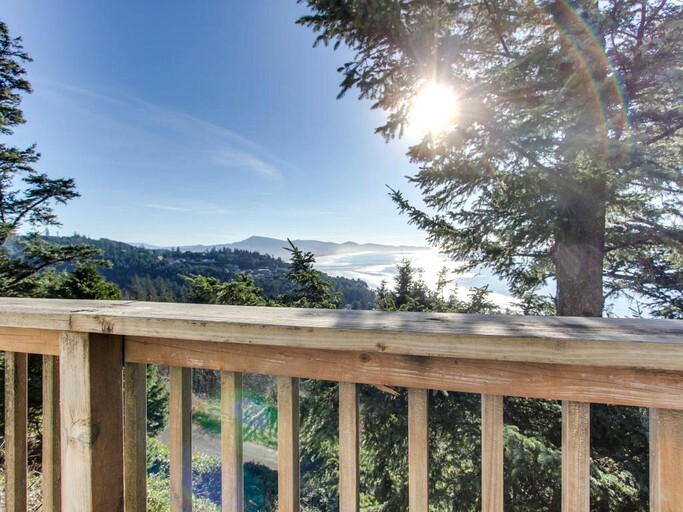 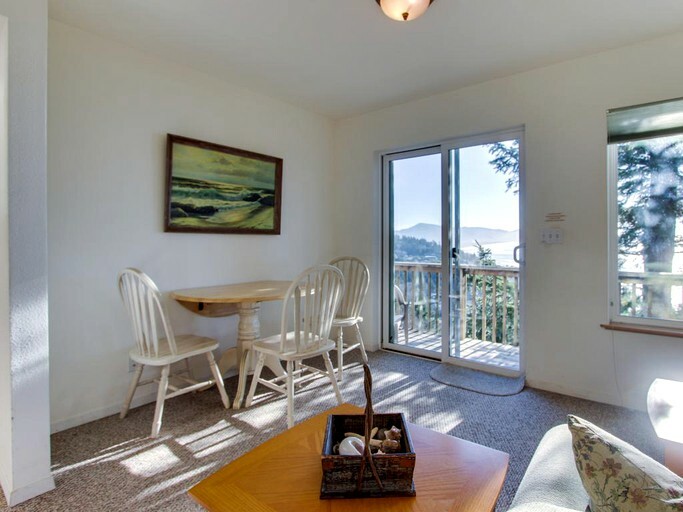 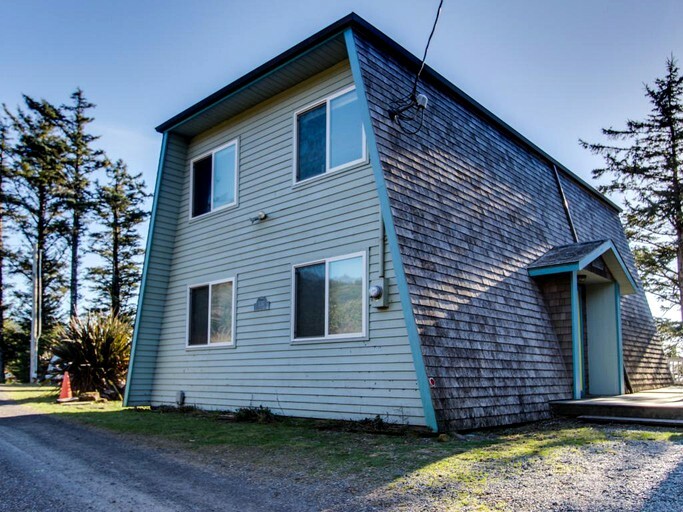 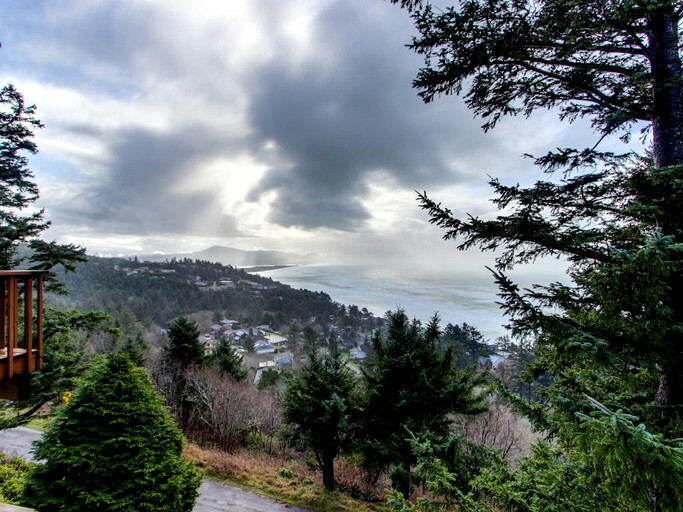 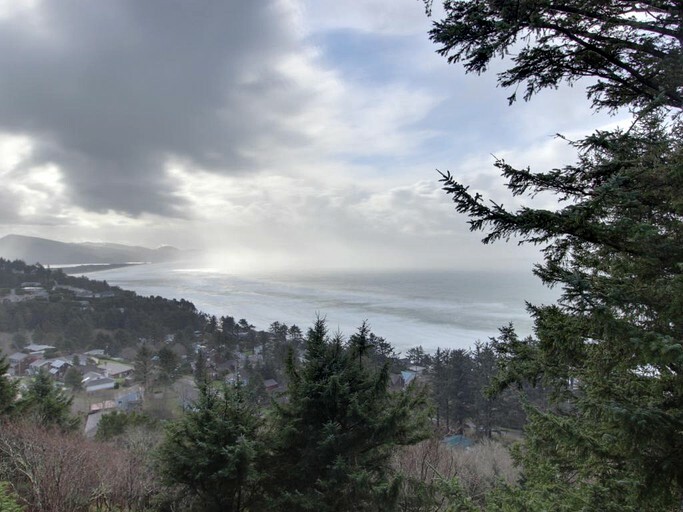 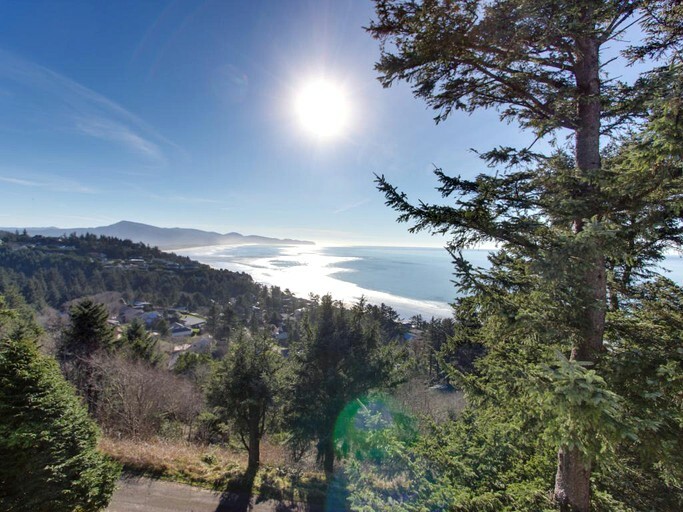 Resting at the edge of a cliff overlooking the Pacific, couples will fall head over heels for this romantic cabin rental along the Northern Oregon Coast in Oceanside. 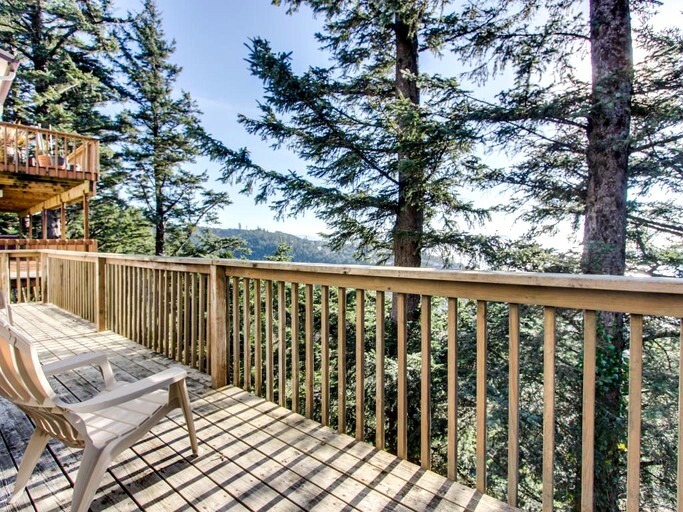 This one-bedroom, dog-friendly cabin is a tree house beach house fusion that comfortably accommodates two guests. 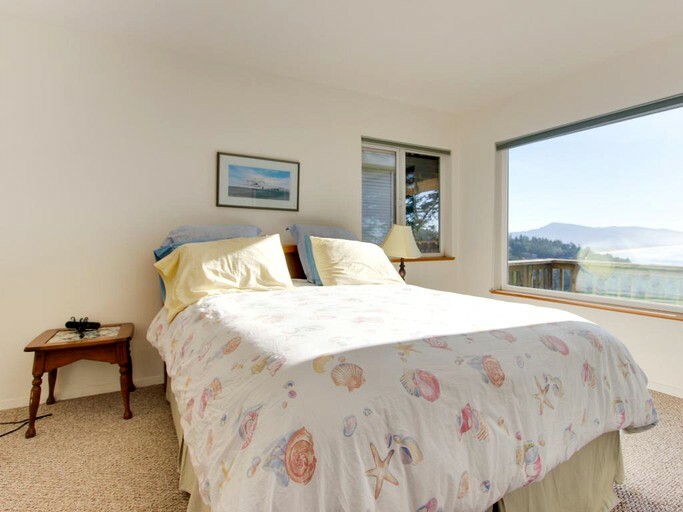 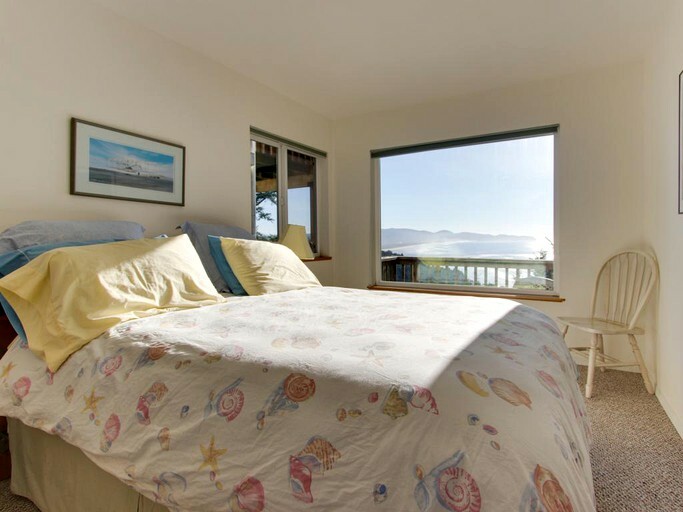 The bedroom features a plush queen-size bed, a TV, and a picture window with jaw-dropping ocean views. 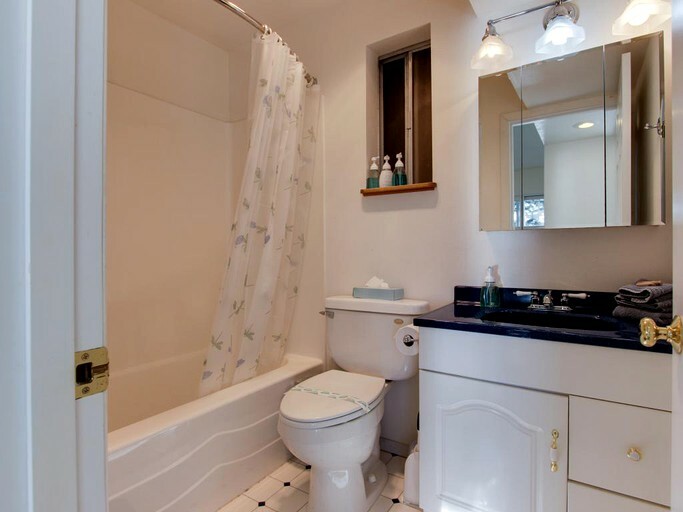 Guests can freshen up in the full bathroom with the shower and tub combo. 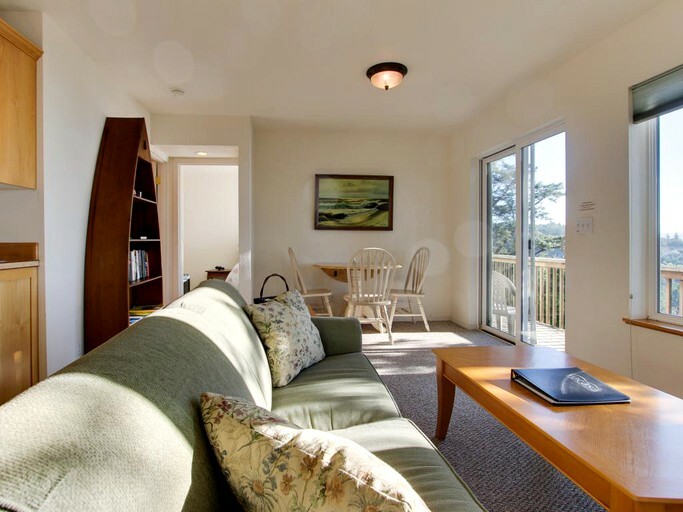 In the living room, guests can get cozy on the sofa bed and plan the day's activities on the coffee table. 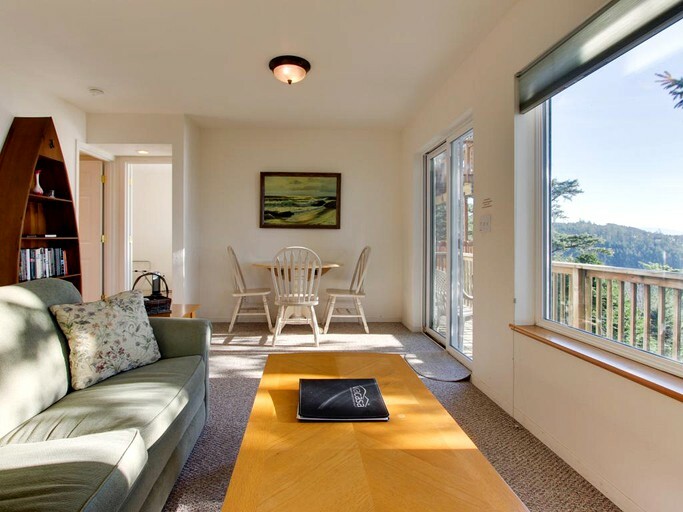 Just across from the sofa, guests can admire breathtaking views of the sea and the evergreen treetops. 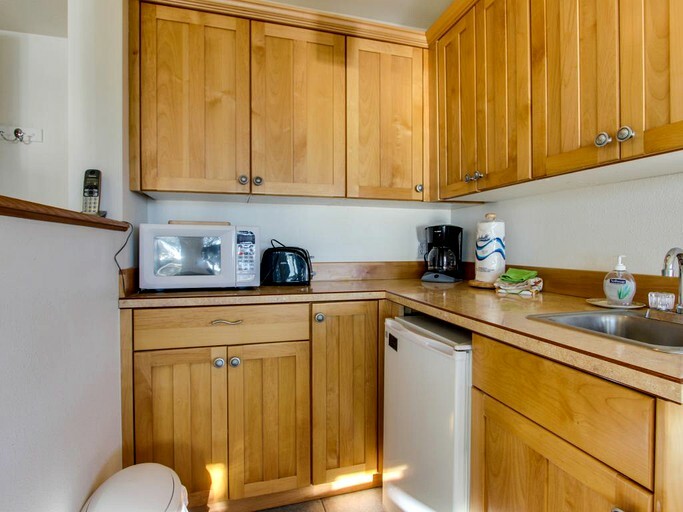 Steps away, the kitchenette features a mini fridge for storing leftovers, a microwave, a toaster, and a coffeemaker. 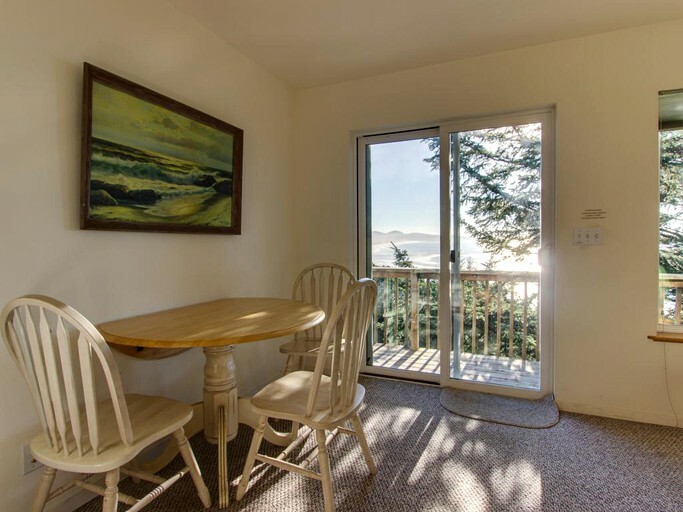 Guests can enjoy a tasty breakfast at the intimate table with seating for three, or out in the open air on the deck. 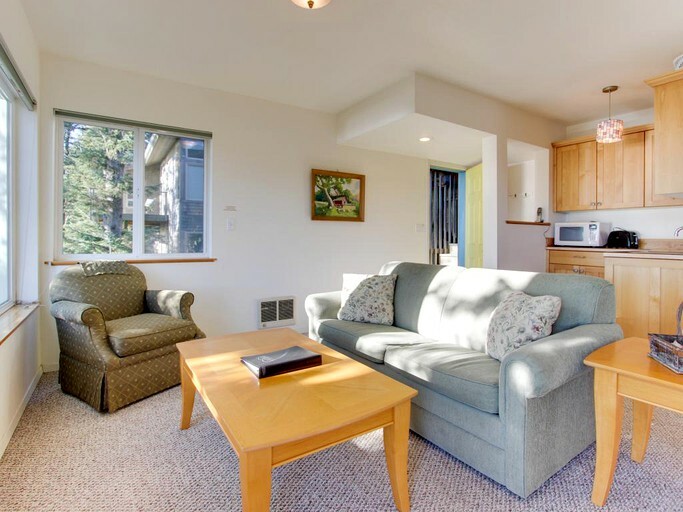 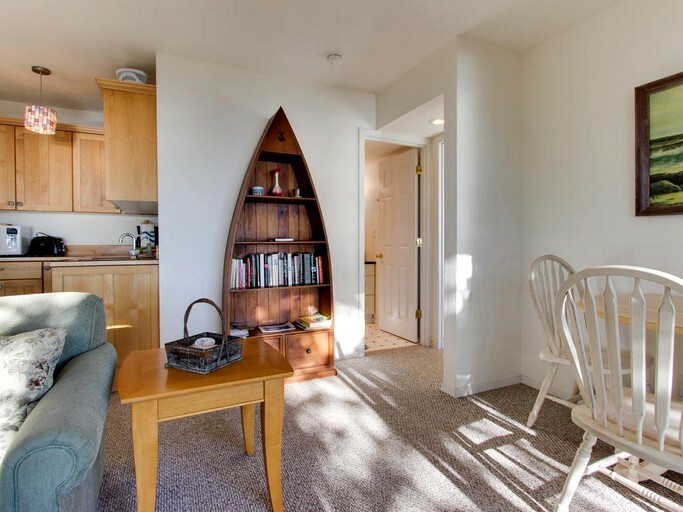 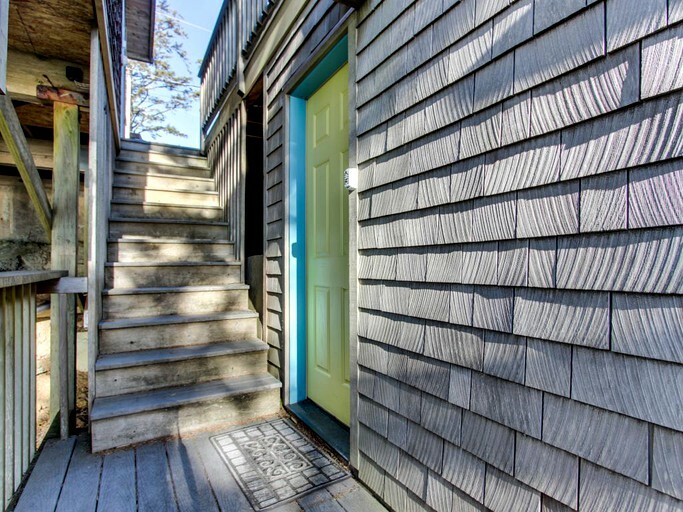 This property features complimentary Wi-Fi and cable TV. 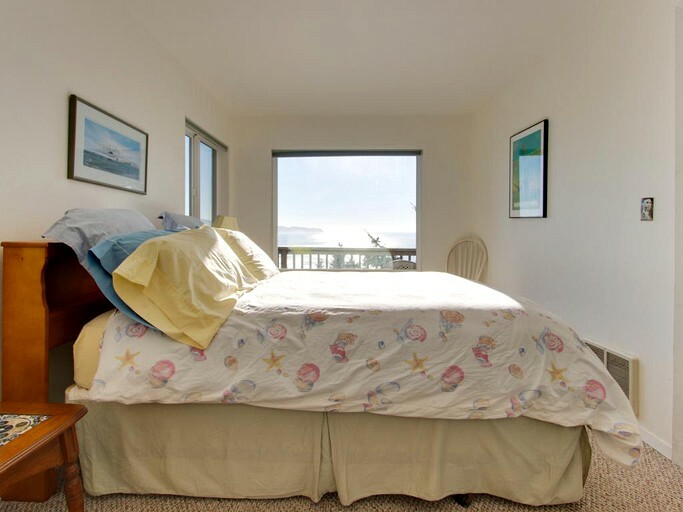 Right on the sandy beach, guests can enjoy long scenic walks. 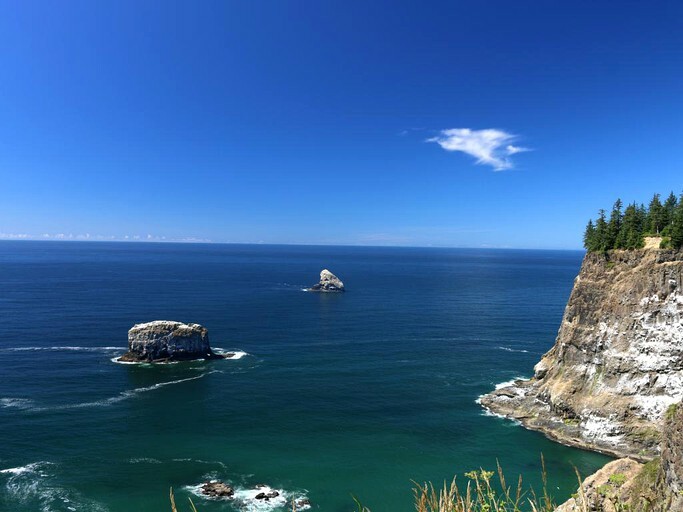 At Three Arch Rocks Wildlife Refuge, there is fantastic birdwatching and wildlife viewing with native bald eagles, peregrine falcons, and deer. 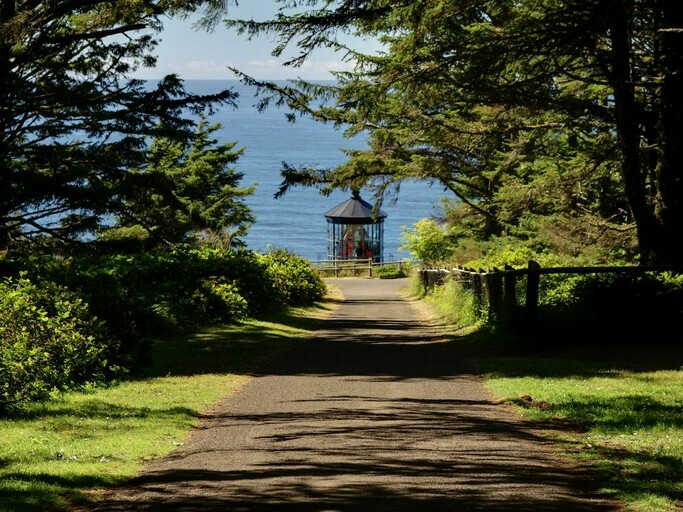 Guests can enjoy delicious dining at Roseanna's Cafe a mile from the front door, and Netarts has incredible fresh seafood. 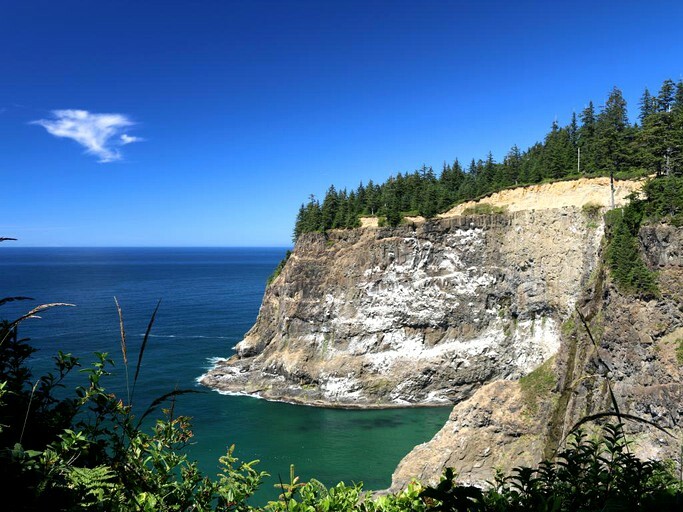 There are plenty of nearby trails for hiking and biking, as well as roads for relaxing scenic drives. 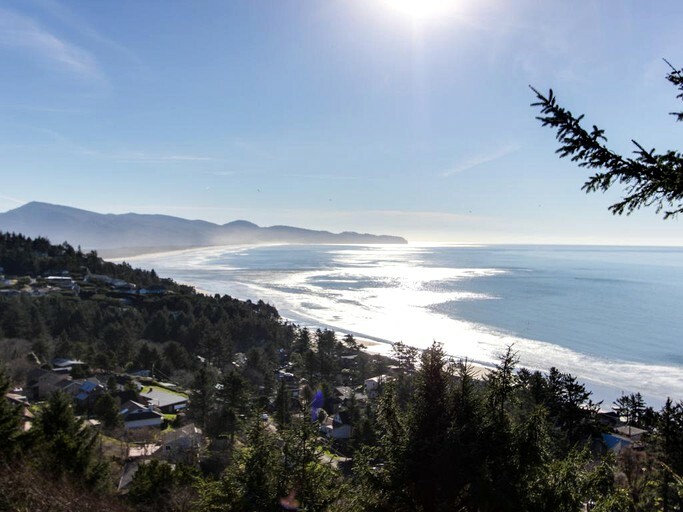 Up in Tillamook, guests can visit the Tillamook Cheese Factory, museums, and markets. 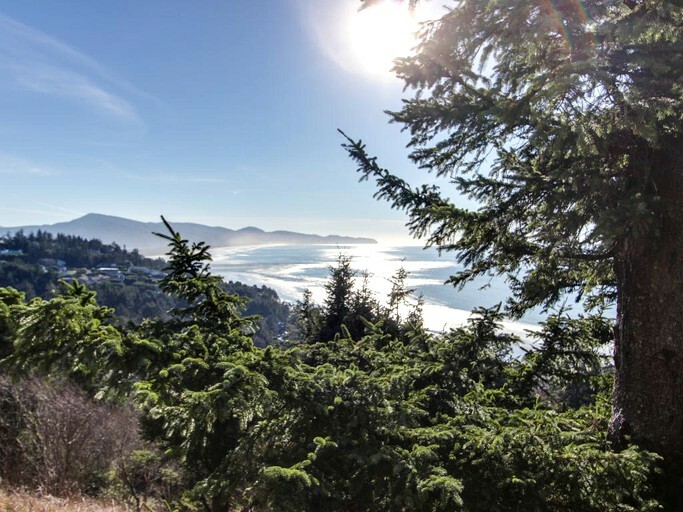 The area's parks and refuges are ideal for ecotourism, hiking, kayaking, canoeing, fishing, and crabbing. 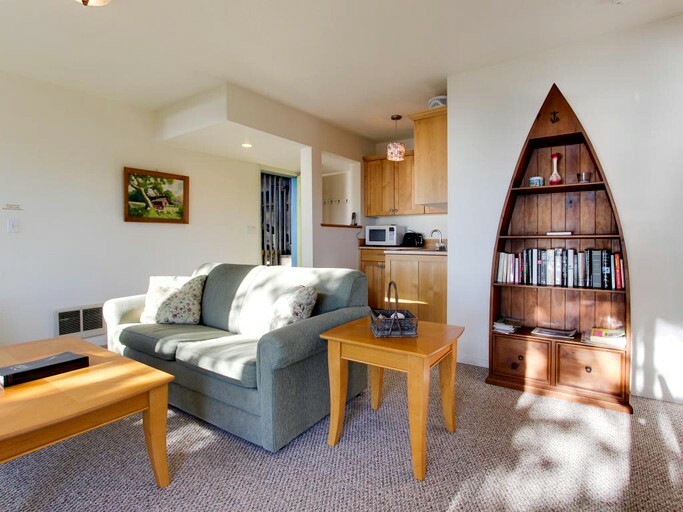 Guests can also head into town for some golf or bowling followed by a trip to the spa. 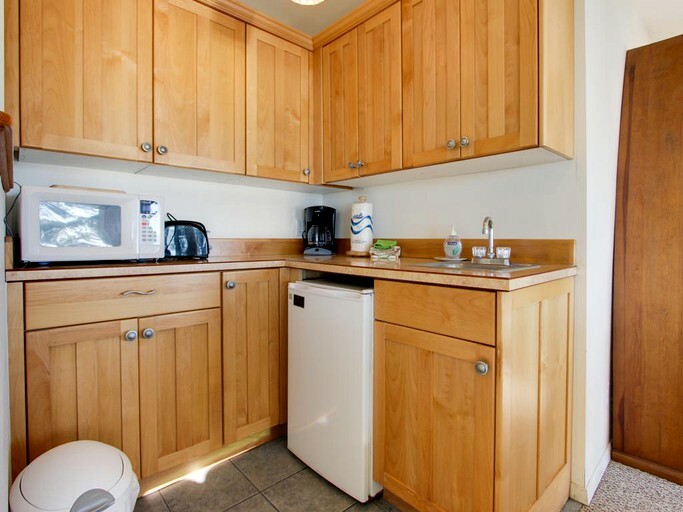 There is a minimum renting age of 21. 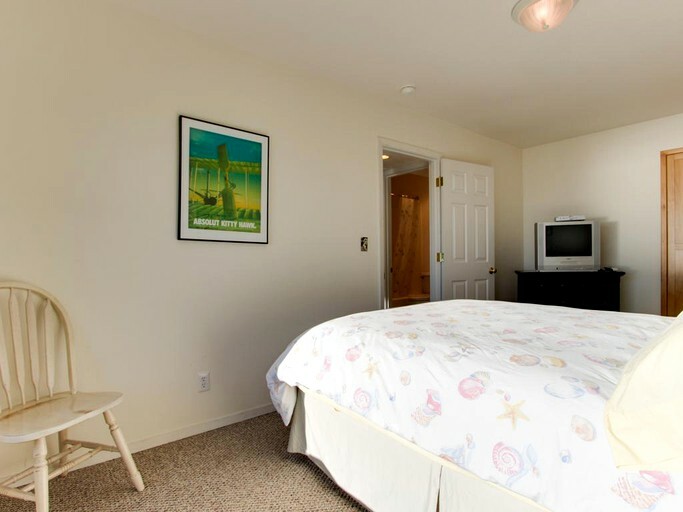 Dogs are welcome to stay for a small nightly fee of $10 per pet with a minimum fee of $40. 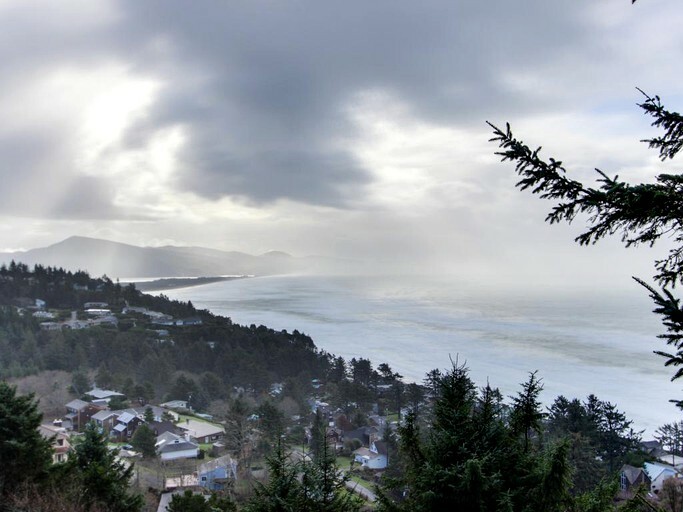 Cell service is spotty, but guests can visit the town of Netarts just three miles away to place calls and send messages.